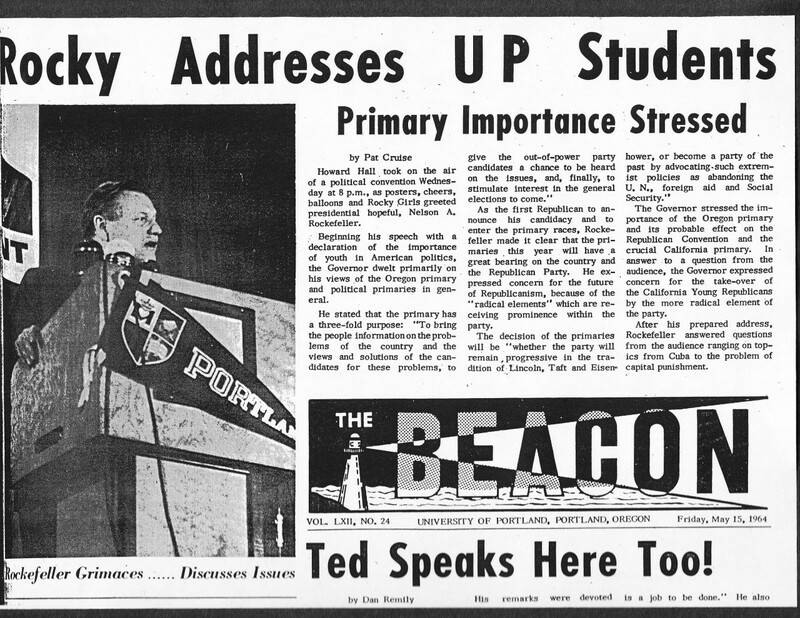 Two days before the May 15, 1964 Oregon primary, New York Governor Nelson A. Rockefeller, (R) campaigned at University of Portland in Howard Hall in his bid for the presidency. 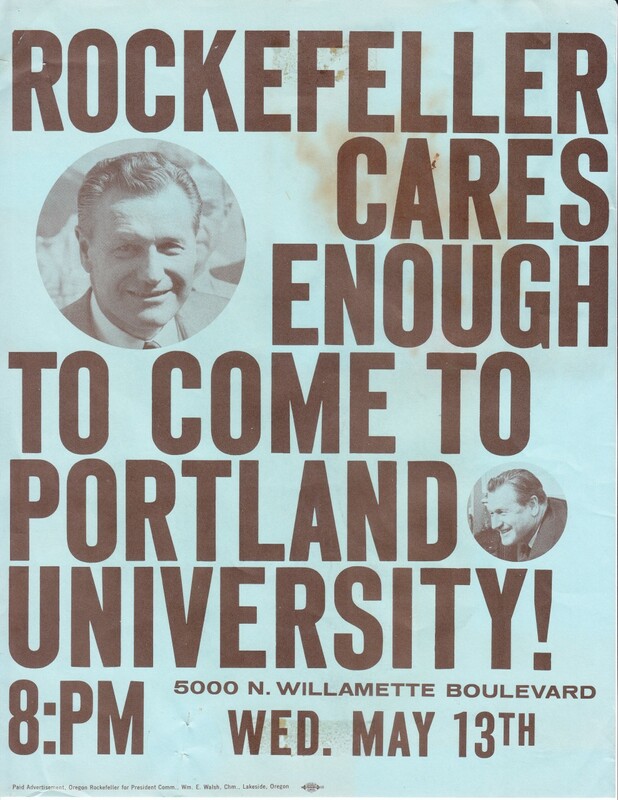 That appearance obviously sealing the deal: because Rockefeller, representing the moderate-liberal faction of his party, won the Oregon Republican primary. 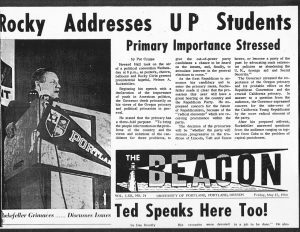 But then his opponent, Senator Barry Goldwater, (R-AZ) won the California primary election and subsequently became the Republican presidential nominee. 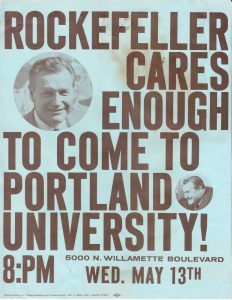 Rockefeller mounted three unsuccessful runs for the presidency; 1960, 1964, and 1968; he achieved national office only when President Gerald Ford appointed him as Vice President (1974-1977) after a period of constitutional unpleasantness in the early 1970s.